Azerbaijan has a great potential for the development of tourism. Nature, climate, historical monuments, cuisine, rich culture of our people and other factors lay the foundation for the development of many areas of tourism. Our country is among the developing countries in the field of tourism, occupying the 39th place among 148 countries in terms of global competitiveness in tourism. Analytical agency TourStat has published a rating of the best CIS cities for shopping, according to Russian tourists. The rating was timed to November 11 - World Shopping Day. Baku and Astana lead this ranking. The rating of the CIS cities was made according to the results of the analysis of the popularity of shopping tours this year. According to TurStat, tourists come to cities in the CIS for an average of 2-3 days and spend on shopping up to a $ 1,000 per person. Many things arouse great interest among foreign tourists. One of them is the Baku Shopping Festival, which took place in Baku for the third time from May 1 to May 31, 2018. 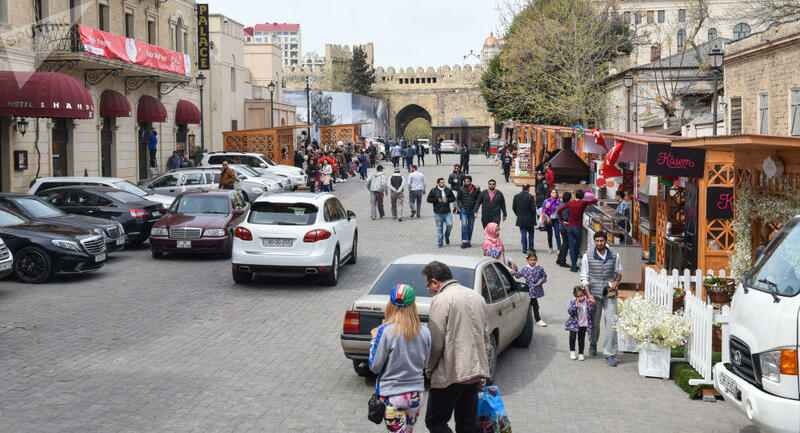 According to the decree of the President of the Republic of Azerbaijan Ilham Aliyev, from September 1, 2016, Azerbaijan Convention Bureau of Azerbaijan under the Ministry of Culture and Tourism is charged to organize Baku Shopping Festivals. For the first time, the Baku Shopping Festival was held on April 10 - May 10, 2017, the 2nd Festival was held from October 15 to November 15, 2017. Being held twice per year since 2017, during whole month, Baku Shopping Festival offers Azerbaijani citizens and the guests of the city unique shopping opportunities. From the first festival till this moment, the Baku Shopping Festival has achieved great success on international trade markets and received positive feedback from the local buyers. About 800 stores in Baku joined the Festival last time. In addition, during the festival, a lottery, games, fashion shows and other events, where participants won valuable gifts, were organized. Within the framework of shopping festivals held in Baku, buyers were offered to purchase clothes, electronics, household appliances, furniture, perfumery and cosmetics, while returning to themselves the value-added tax (VAT) on the Tax Free system. This requires making purchases in an amount above 100 manat. And in order to become a participant of the festival, one should purchase goods in stores where there is a special festival logo. As many as 71,331 transactions have been approved for return of the money by the system of Tax Free and more than 6,500 tourists have benefited from tax free system along with the local buyers during the festival.